Issues, challenges, and problems are bound to arise especially in business that involves huge amounts of money. With the complexity and rigidity of the procedures and processes that the management and employees have to follow, there will always be something that can go wrong, even if it’s nothing major. No matter how hard you try to correct or try to avoid such instances, there will always be a probability of it happening under or without your supervision. As you should know by now, businesses enforce various procedures even for just a single purpose that ultimately leads to accomplishing the goals and objectives of the company. Aside from that, if the business is running under a partnership or corporation, that would mean that there is a lot more procedures involved leaving more room for mistakes especially if the company is just starting or just penetrating the market. And although you have prepared risk management strategies when you first established the business, as the market continuously develops, so does all the possible issues that you can encounter. Therefore, some risk management or issues/problem resolutions may no longer apply. That is the time when you have to establish and make new, more adaptive issue or problem resolution procedures that can help your company save resources and time when an issue, problem, or challenge arises. 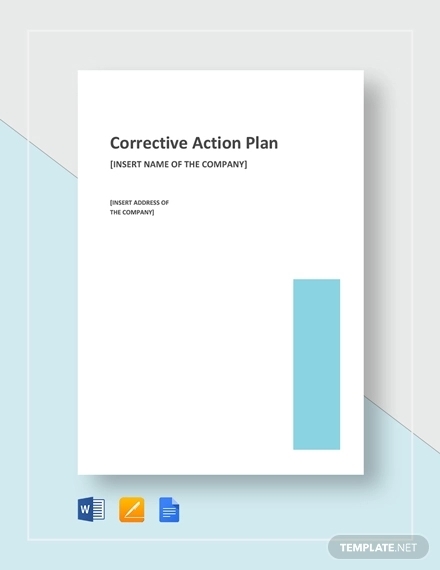 Also commonly known in business in its abbreviation CAP, a corrective action plan is a step-by-step plan of action that is developed to achieve resolution for identified errors. Since the problems have been already identified, the CAP is basically the procedure a company or organization follows in order to achieve target resolution for that specific issue or problem. Essentially, the CAP is a plan that aims to improve performance and/or reduce risks. 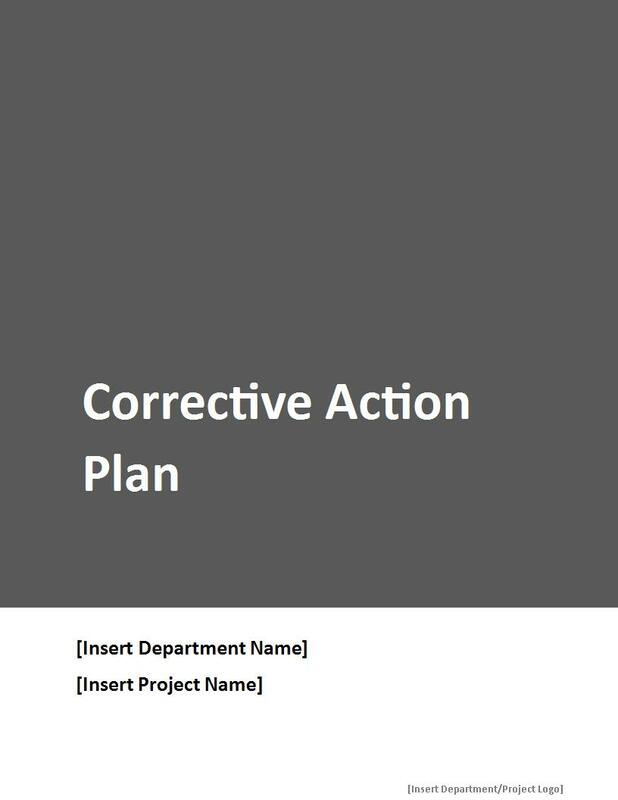 A corrective action plan is developed in an effort to identify the most cost-effective measures that can be used to correct error causes, develop and implement an effective plan of action that can help improve processes or methods so that future outcomes are more effective and efficient, to achieve measurable improvements and changes in highest priority areas, and also to eliminate reoccurring and repeated error in the overall practices. 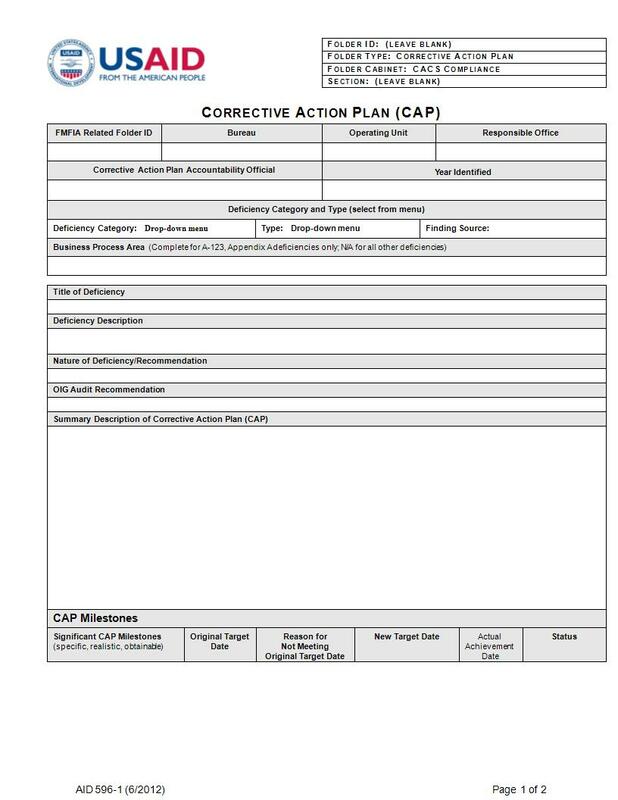 Simply put, a corrective action plan is developed in order to help correct mistakes and to help avoid future added risks. 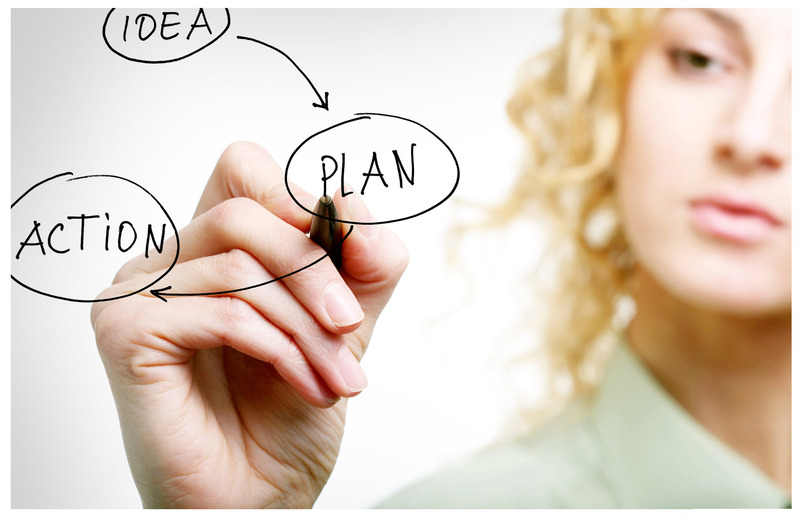 It is a very important plan that can help improve overall outcome of the organization or company. It helps them analyze the mistakes and develop new adaptive ways to correct them. This will help them improve current situation and also to eliminate the possibility of having repeating incidents. Therefore, as the name would suggest, a corrective action plan corrects the mistakes, solves a problem, and improves overall processes that an organization or company employs so that there can be less to zero recurrence of the same circumstances. And just like any action plan, it is based on logical and comprehensive analysis of the problem so that a more suitable and effective resolution is achieved. There is assurance that quality issues are resolved more efficiently. It can reduce the rework and scrap numbers. It helps boost continuous improvement. An aligned method for problem solving is developed and implemented. Anticipated regulatory requirements are met. Risk management and brand protection is enhanced and improved. Compliant products are quickly delivered to the marketplace. Retesting of products and associated costs are lessened. Strengthen visibility and management of the supply chain. 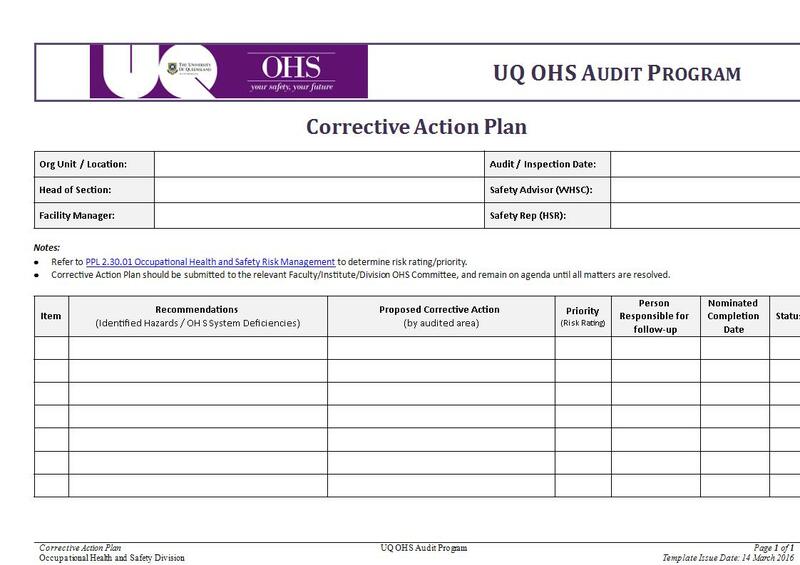 Audit commonly produces and uses a corrective action plan in order to identify the steps to correct non-conformance to a standard protocol, principle, or practice. The audit can easily identify the mistakes and can effectively take into account all issues that may have been present and account all the several poor practices and vulnerabilities. The corrective action plan then maps out the path help correct these issues and improve overall outcome. A business is often urged to develop a corrective action plan in response to an incident or failure. Therefore, in order to develop an effective corrective action plan, an extensive investigation and analysis of the root cause is executed. The root cause analysis will help the company or organization identify underlying problems that represent a risk of future incidents. 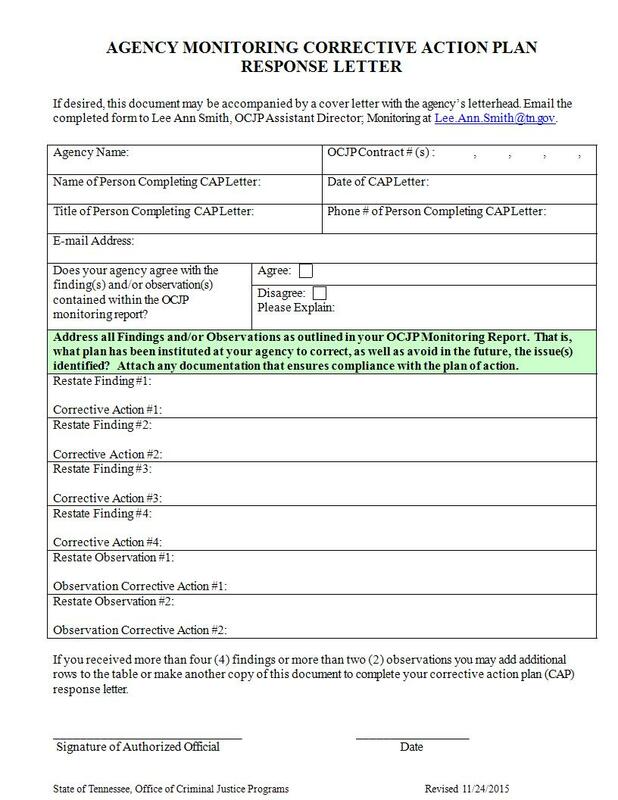 The corrective action plan consists of preventive measures and resolution that is enforced when responding to specific issues or incidents. Even with a start-up company’s limited number of employees need to devise a plan that will help all employees stay determined, effective, and efficient; likewise and more so for companies that employs hundreds of people. The only problem with that is with the rising number of employees, it becomes a harder job to personally oversee their performances. But with the help of a performance review, an employee who receives a poor mark may be given an opportunity to improve through establishing a corrective action plan that wills set the expectations to what has been required in order to get back to satisfactory performance. An effective corrective action plan should not be developed with the aim of independently cleaning up after all the mess; it should not work or function on its own. 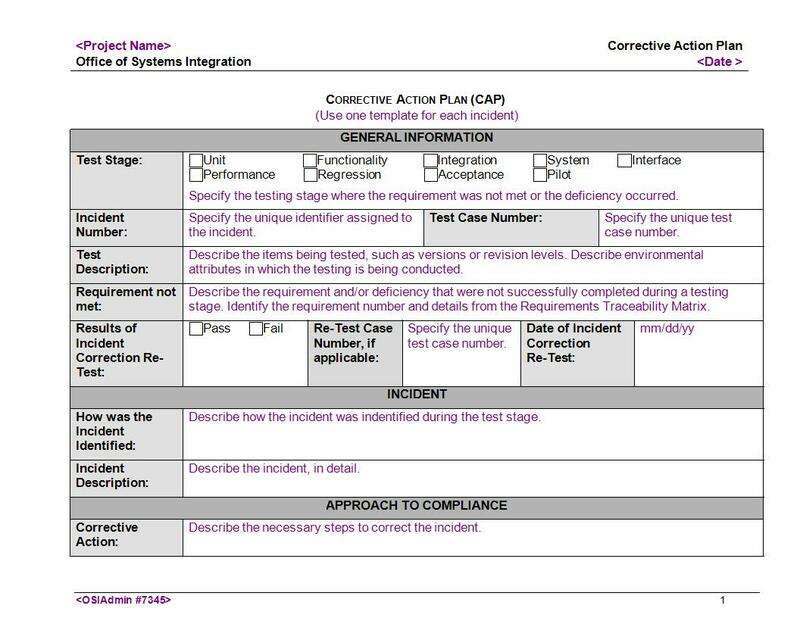 Instead it should be developed in a way that connects to relevant areas of the compliance record in order to communicate the full context of the problem. 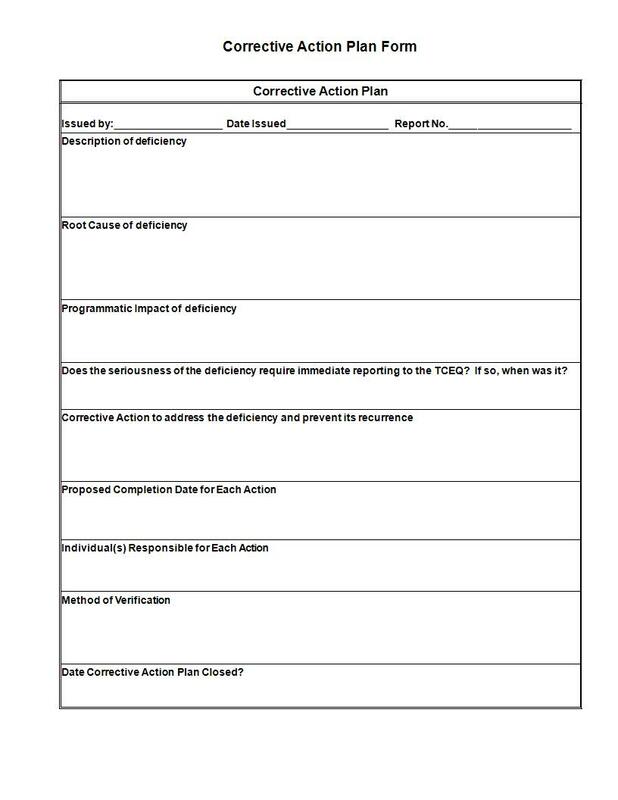 Each corrective action should be linked to the the proper sources such as audit results, nonconforming materials, safety incidents, and customer complaints. These sources are what helps the management efficiently identify all the underlying issues the company or organization has or may face. 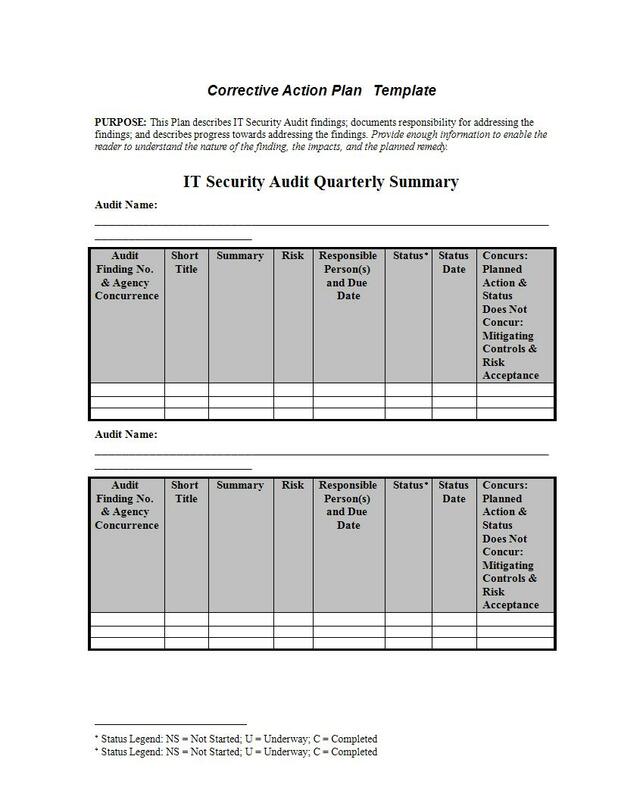 A photo or concrete proof from the audit or incident record that illustrates the problem and how to fix it. Any specific metrics or required conditions for closure. 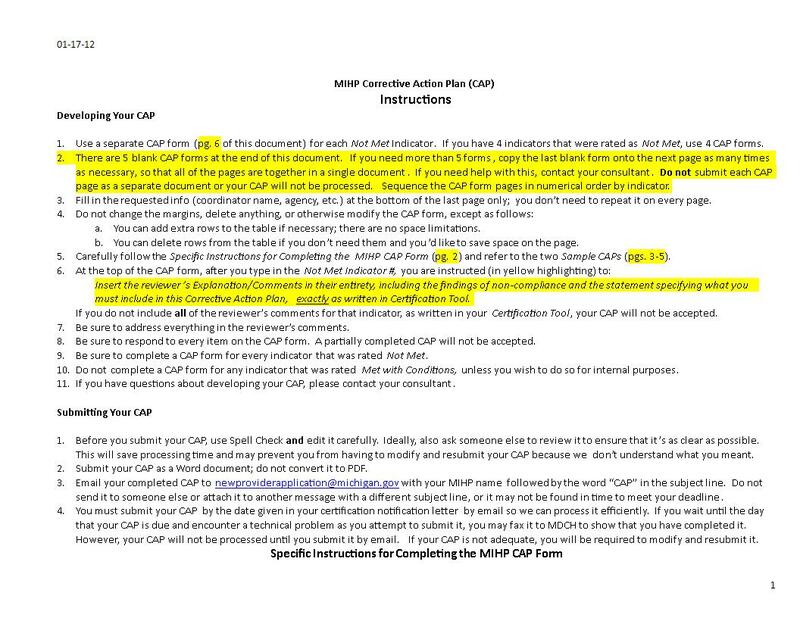 Instructions on necessary updates to related areas such as Document Control or Employee Training. 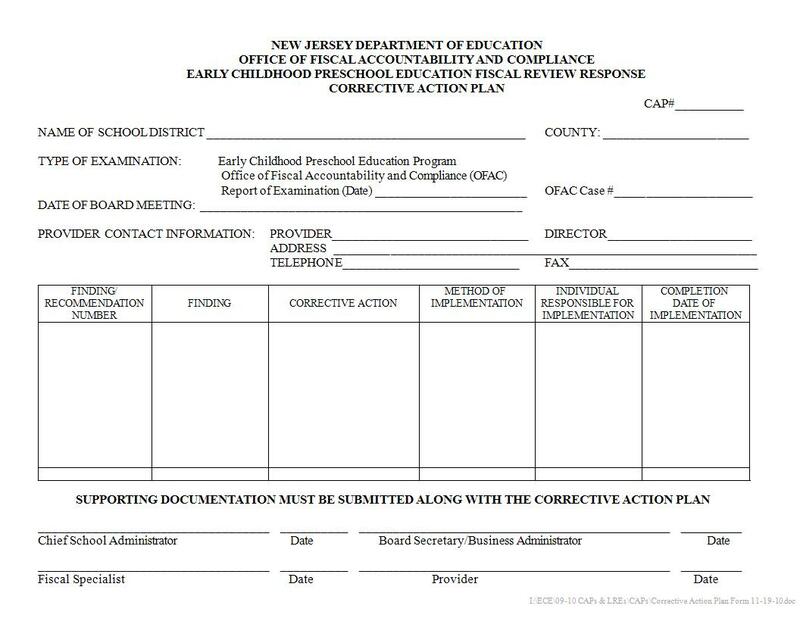 The entire workflow of the corrective action plan must be pointing at the same direction. It should be intact and must be built on solid foundation; it should pass through several key waypoints. The process of organizing the flow must be done prior to the formation of the corrective action plan, it must be planned during the reviewing of the initiating event and the investigation of the root cause. Therefore, the flow of the plan must be prepared prior to the existence of the plan itself in order to identify the people required to participate during the process so that there is no chance of falling through uncovered cracks. automatically direct the corrective action plan from one step to the next. 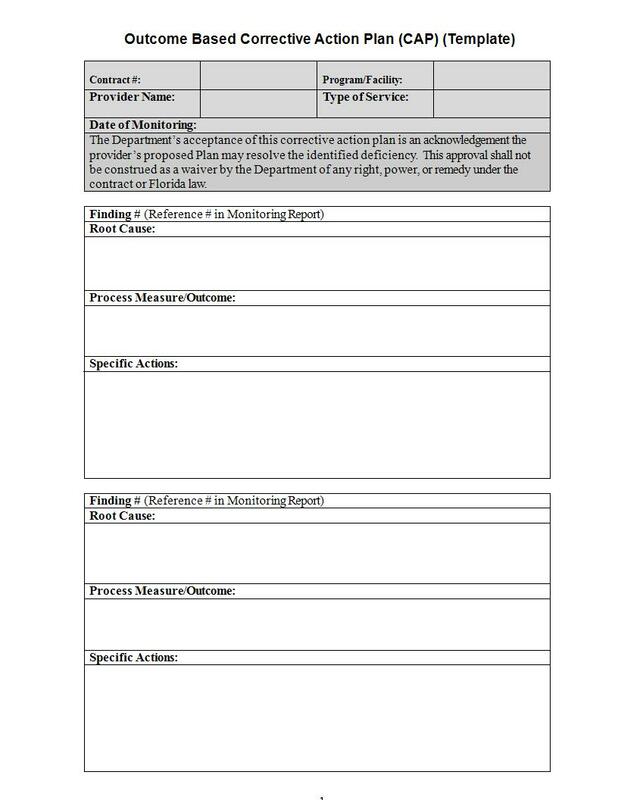 Schedule deliverables by role, meaning you should create accountability around your action items through streamlining the process. Consider what the process will be if the person in charge does to follow through with his/her responsibility. Create rules regarding the absence of the person in charge as well as rules regarding notifying the supervisor when someone decides to abandon his/her responsibilities altogether. This is the final yet most essential element of an effective corrective action plan. As a matter of fact, you can conduct a risk assessment before and after the entire process. Risk assessment in a corrective action plan basically means analyze the risk of the instance, determine the severity level and calculate the overall risk. Prior to the formation and development of the plan, this will help you identify the most effective ways to solve and improve current issues, and on the end of the process, it will help know and measure the performance of your plan, whether or not it help alleviate the situation. A corrective action plan is basically the plan on how you handle issues and problems such as customer complaints, employee non-conformance, ineffective strategies, and so on. Through the said plan you will be able to determine cost-effective and efficient solutions to current issues and also for future incidents. This is a very important process or plan that must not be neglected as it can affect the overall performance of your company; failure to develop a corrective action plan will stagnate current unresolved issues that will result to overwhelming and repeating problems. If that happens, your company will most likely be subject to negative publicity and will have to spend more just to mitigate the situation that could have been addressed with a corrective action plan. 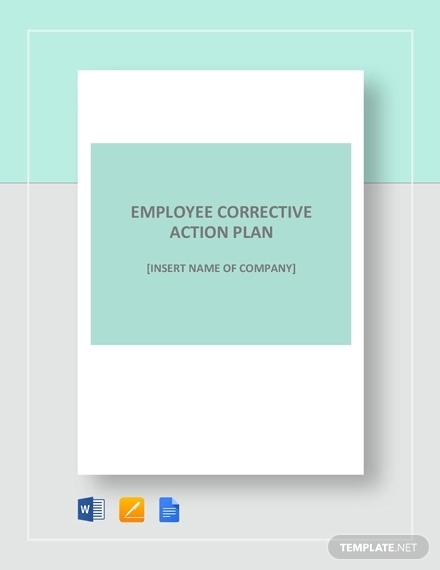 We hope that you learned and understood the principle of a corrective action plan with the help of this guide.